My boyfriend and I love to go out to eat, and we treat ourselves pretty regularly. The problem comes when we need to decide on where to go. Since I’m a vegetarian, and a fairly picky eater, it’s not always easy for me to try a new place without a little research. George, on the other hand, likes to try new things, and never has a problem with any menu. 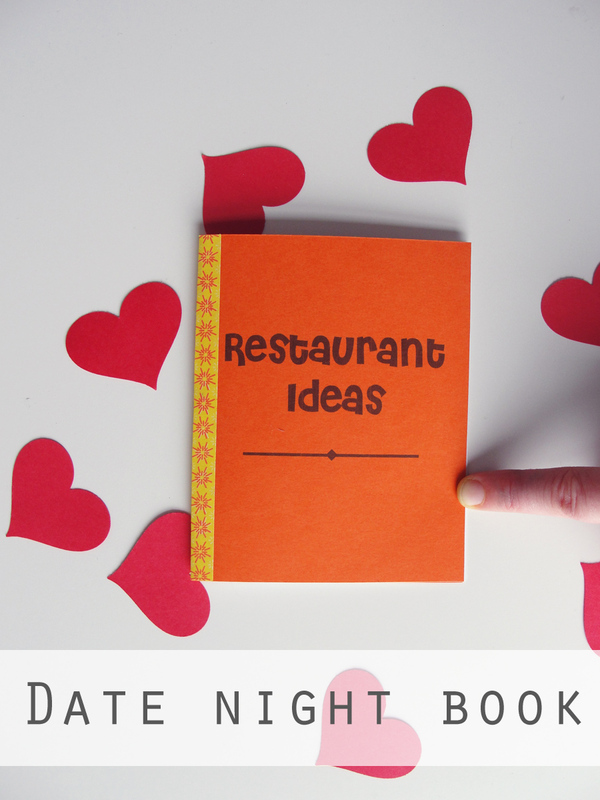 Tired of scanning through restaurant options on date night, I went ahead and created a Restaurant Ideas Book. I did a little digging on Trip Advisor and Yelp to find restaurants we haven’t tried within a reasonable radius. I only included places with average or better reviews, and looked at the menus to make sure there were a couple options I was okay with. 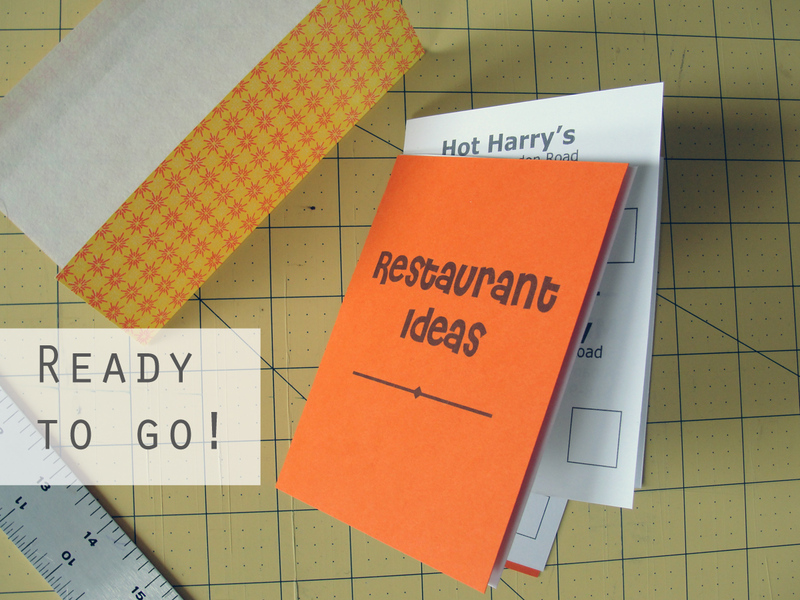 I wanted to make a little book, so I planned out mock pages on plain paper. This allowed me to see how I wanted the book to flow. After printing out my pages, I made an orange cover. To bind the book, I just stapled the middle. In order to make the cover a little fancier, I used matching origami paper around the “spine.” I would have used rubber cement as an adhesive for the origami paper, but I couldn’t find it and used spray mount instead. 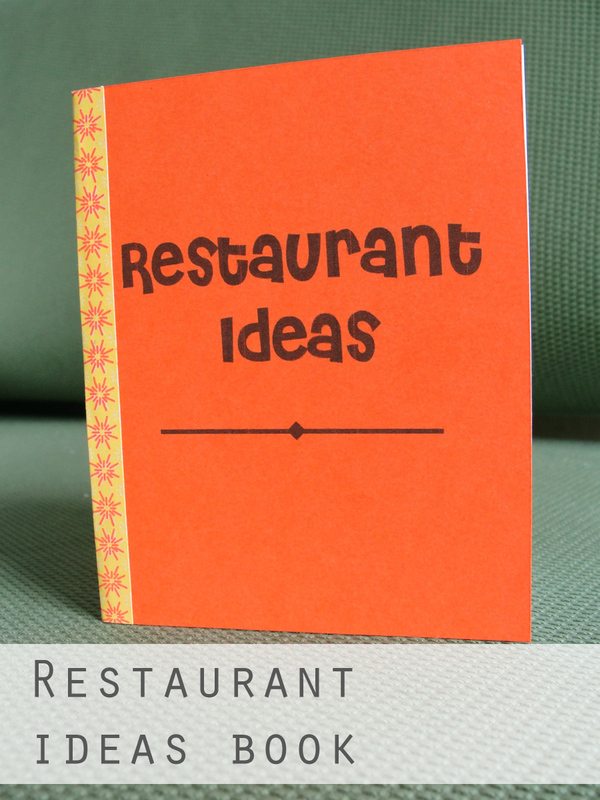 For my creation, I divided up some of the suggestions into Date Night, Weekend Breakfast/Lunch, regular suggestions, and a special Bonus for an ice cream place. I did my page layout in Photoshop since I don’t have InDesign at home. 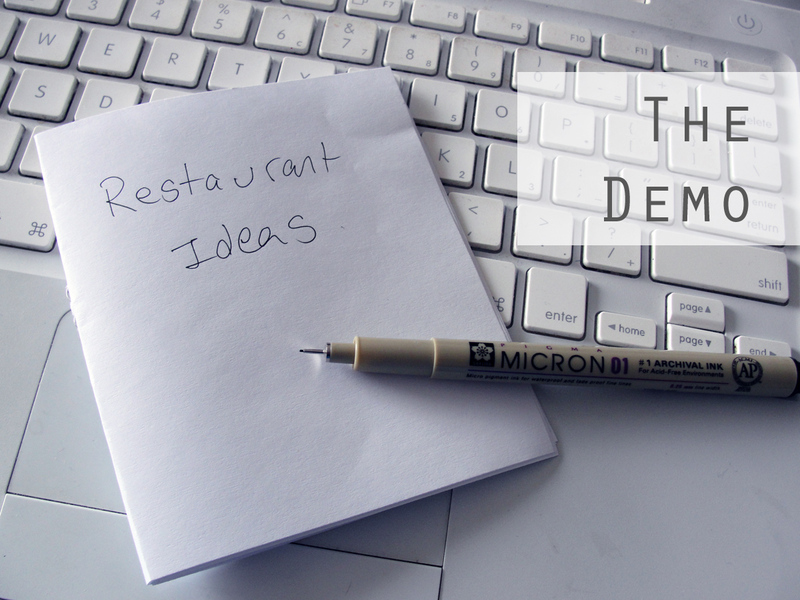 The biggest part of this project was researching which eateries to include! 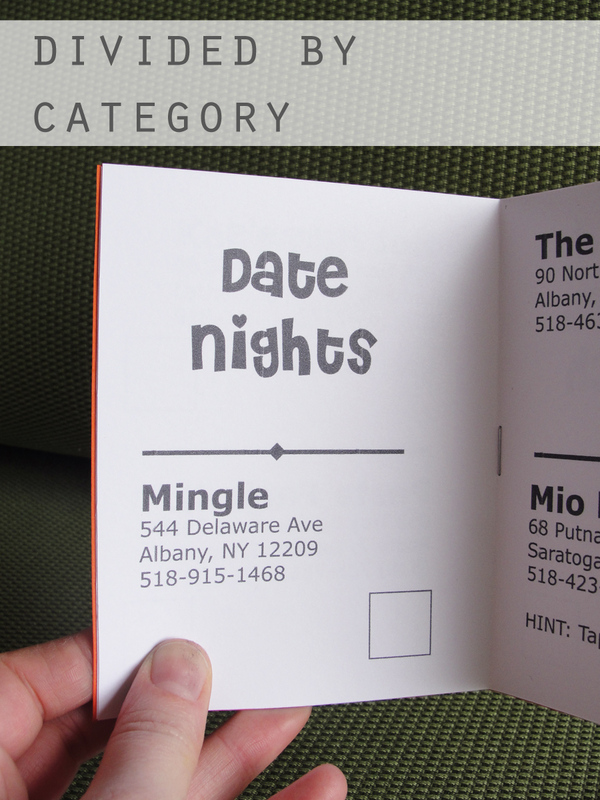 The book itself was very simple and printed on a home inkjet printer. I already presented this craft to George and he was appreciative. I told him we have a year to try the 13 places listed. It should be fun! Brilliant! I love this idea!